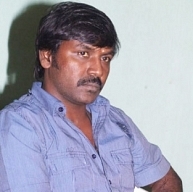 Ace dance choreographer / actor, Raghava Lawrence recently injured himself during the dance rehearsals for one of the song sequences in Muni 3 - Ganga. He slipped and fell, thereby hurting his neck and hands. Immediate medical attention was provided to him at the Ramachandra Medical Center and after 20 days of intense treatment, he recently returned home. Physiotherapy and other treatment would be provided by doctors at his residence itself and Lawrence is expected to take complete rest for a period of 3 months. Lawrence had this to say about the status of his injury and Muni 3 "The film's first half is over and since the second half involves a lot of risky sequences, I would be commencing work only after complete treatment and recovery. I expect to be back on my feet soon, thanks to the blessings of Lord Raghavendra and also my doctors' competence." People looking for online information on Ganga, Muni 3, Raghava Lawrence will find this news story useful.